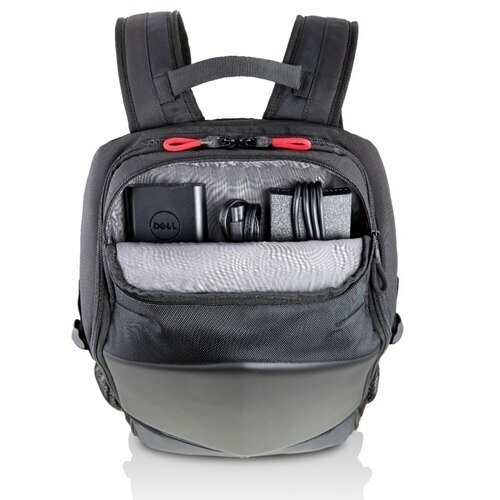 Securely transport your gaming hardware with the large capacity Dell Gaming Backpack, featuring an EVA molded front shield and a foam padded interior. 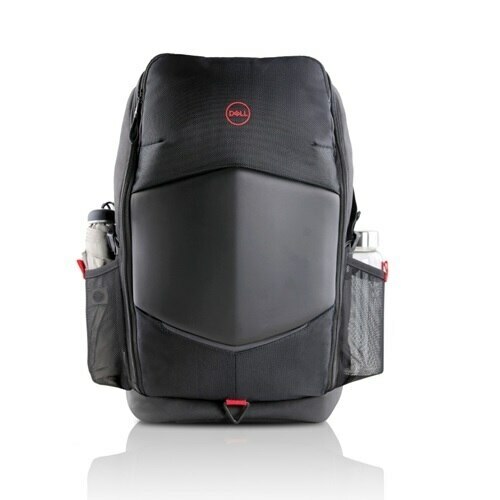 Keep your gaming hardware safe and secure with the Dell Gaming Backpack. 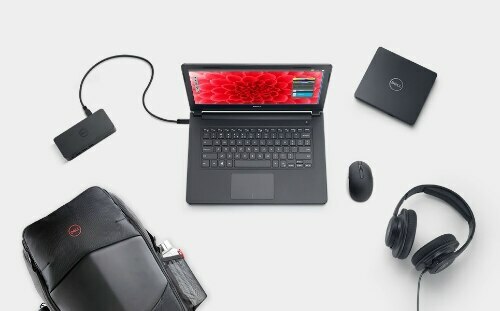 With a hardy EVA molded front shield and a foam padded interior, your laptop and accessories will be protected from the elements while you're out and about. 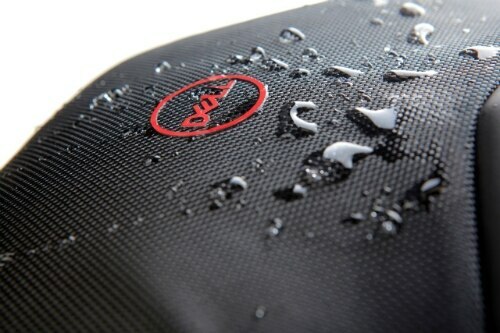 Keep cool thanks to a V-shaped air channel design and breathable air mesh back padding. 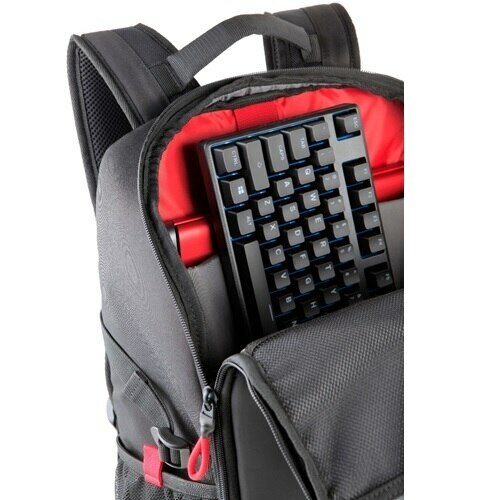 You'll enjoy the comfort the adjustable straps provide as they help distribute the weight of your gaming hardware for an easy carrying experience. Robust, water-resistant materials keep your hardware safe from adverse weather conditions with 900D heavy duty body fabrics and 1680D coated base material. 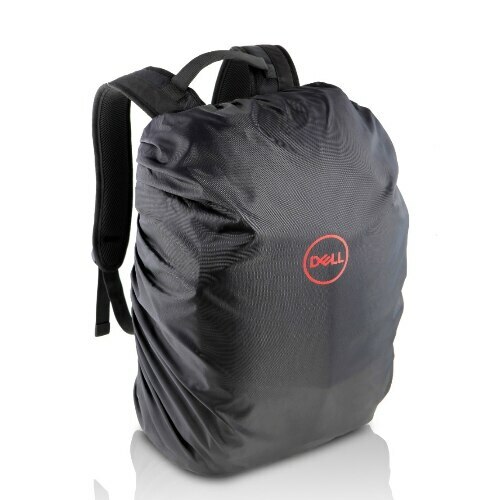 The base of the backpack features an easily deployable rain cover for extra protection in adverse weather. 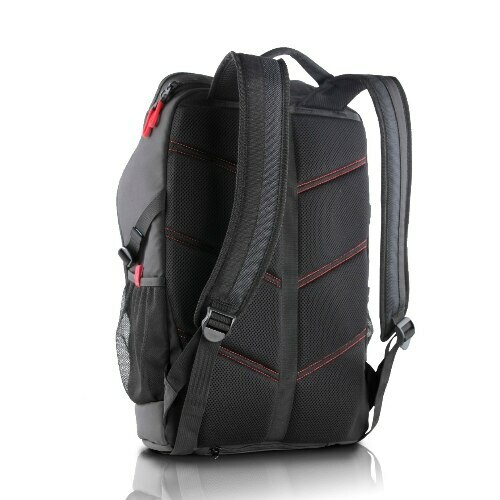 The backpack also helps keep you safe in low light conditions with reflective accents. Keep your laptop and accessories organized in the dedicated laptop sleeve. 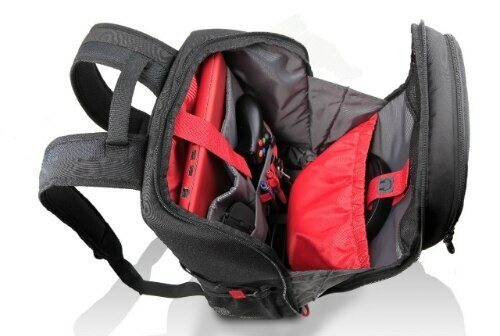 You can easily and efficiently access and organize your gaming gear with its spacious, zip down workstation and multiple storage pockets. Access your necessities with finger-friendly loop-shaped zipper pulls for easy opening and closing.